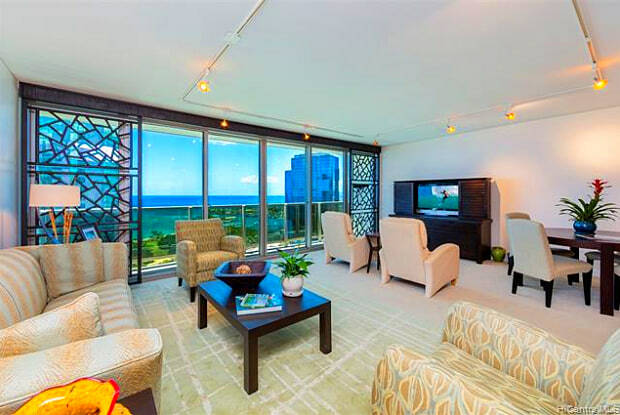 Beautiful and professionally furnished 2 bedroom, 2 bath w/ 2 parking stalls. Step out on the balcony and watch the surf, ocean, and sunset views. Spacious living area. Perfect layout for the executive – with 2nd bedroom furnished as a charming office to include a day bed, with access to the large hall bathroom. Master bedroom w/ lots of windows provides ocean views, a walk-in closet, and a master bath w/ glass windows, dual sink vanity, a soaking tub along with a separate enclosed glass shower. 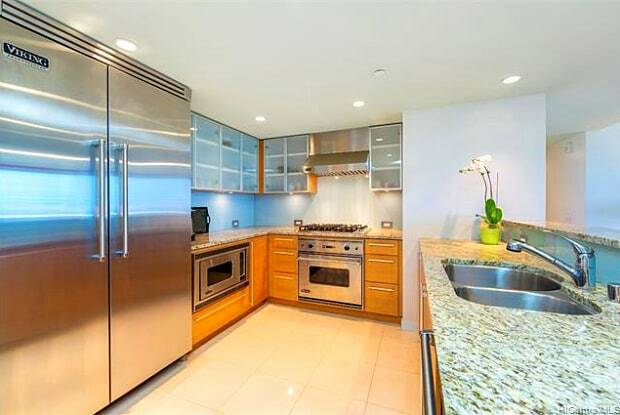 Viking kitchen appliances, gas range, and beautiful granite counter tops. Amenities include concierge service, heated pool, hot tub, tennis court, putting green, BBQ areas, discount membership for exclusive gym/spa located on the lobby level. No pets, no smoking. Renters insurance required. Have a question for 1177 Queen Street?